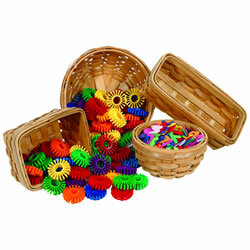 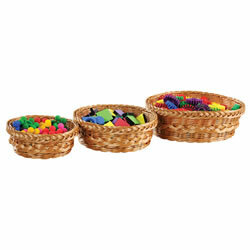 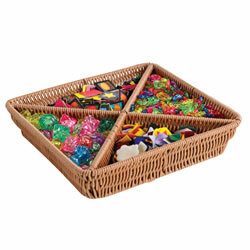 This round divided tray is great for organizing and dividing manipulatives. 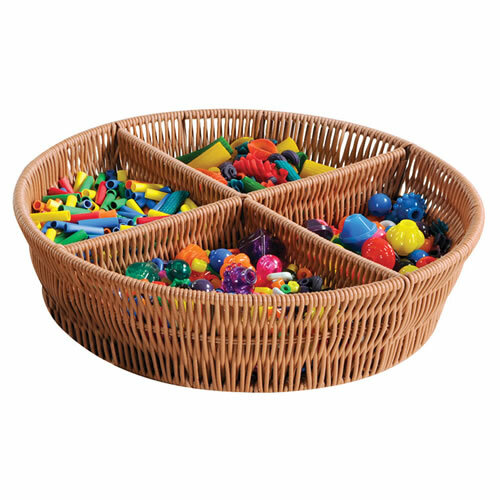 Measures 3"H x 12" diameter. 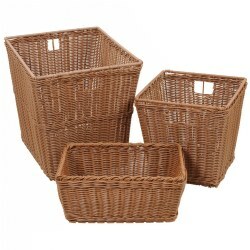 Woven plastic wicker.